Never a penalty, defence got the ball, clear as daylight. Pell made the most of it, the lino and the ref obviously blindsided or merely blind! The free kick; the wall, or rather a minor barrier, taken well and gave Flinders no chance. In fact the first half, if I can use a maritime analogy was a corvette against a couple of battleships! Totally taken apart and outplayed, whether heading, passing or tackling. That said, the second half saw a rejuvenation, and we more than matched them. Good open goal scored and perhaps unlucky for a second. As for points scoring; we seem to be equally inept, only Johnson Red Army scored any, leaving myself and Cliffy 90 propping up the league, with Andy seemingly on his hols! Against Northampton I’ll go for a draw 1-1 with Mooney to score. 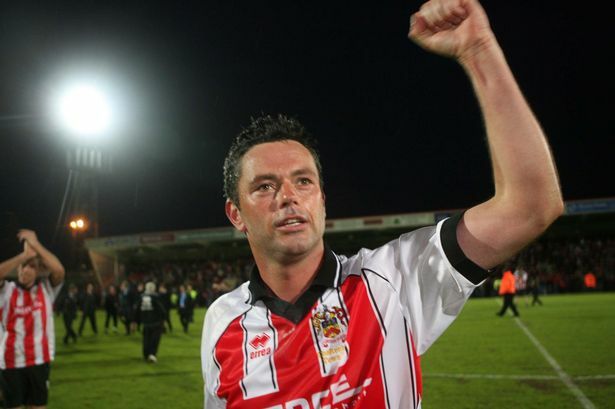 Things will change the week after when Duff takes charge against an unpredictable Crewe. I'm assuming the 2 is for CTFC? NTFC 1 - 0 CTFC.